Going from a graduate student schedule where weekends and weekdays seemed like a blur to a working adult who works nine-to-five, I’m starting to really appreciate weekends and to learn how to best make use of it. Two days weekend can bring you to A LOT of cool places especially when you live in the Bay Area. Always remember, the ocean is almost always 30 mins drive from you so you have no reason not to go out! One of those weekends, me and my friend discovered this hidden gem called Occidental near Santa Rosa. 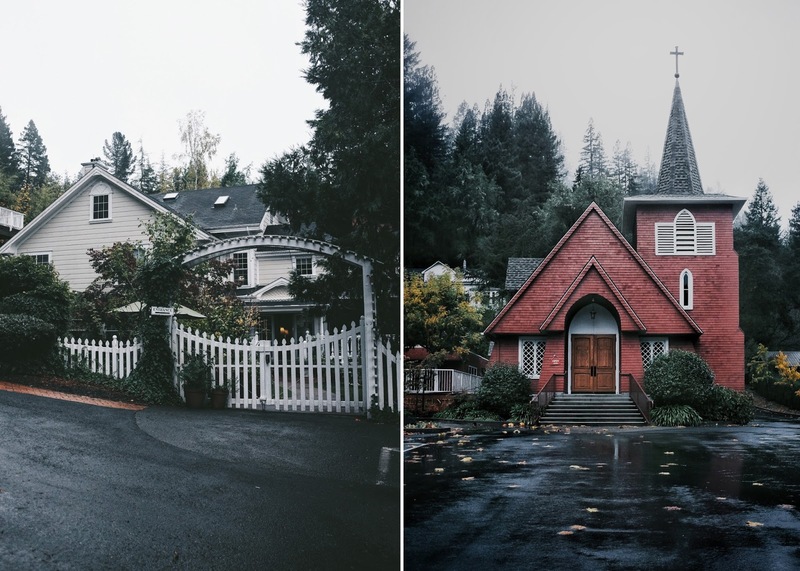 I was on a Gilmore binge and was dying for a Gilmore-inspired weekend getaway so when I found out that Occidental Inn exists, I just HAD TO go there and man it did not disappoint. I have already proclaimed Occidental as the Stars Hollow of North California. For dinner, the innkeeper and some of the guests strongly recommended Hazel..
Grilled Rib Eye - one of the most flavorful ribeye I've ever had. How does it remain hidden all this time? Dinner at Hazel was a win. Absolutely perfect in every way. I couldn't finish my steak because of its generous portion so when told that we'll be driving home the next day, the staff was kind enough to prep my leftover into a steak sandwich for the road. How can a restaurant be this perfect? Next day, we went for some hiking in the redwoods (one of my favorite things) and ended our trip at Fort Ross.